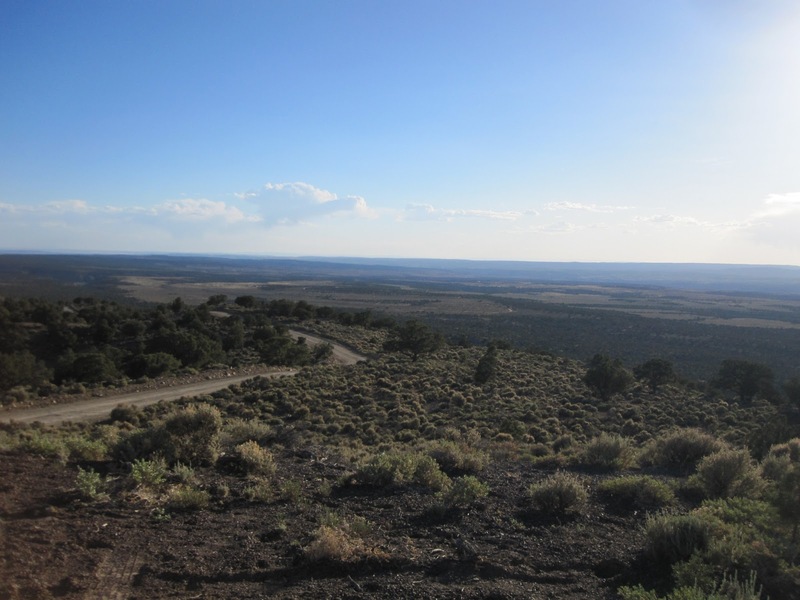 Black Mesa is a mountain containing an abundance of coal on a portion of the Navajo Nation Reservation in northeastern Arizona. Just as in Appalachia, people’s lives are being destroyed in the wake of coal industry greed, but on Black Mesa, it is much worse. 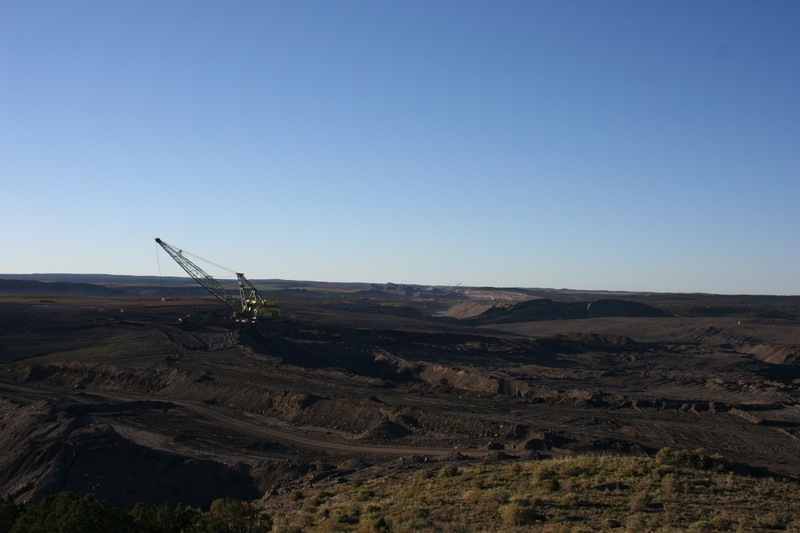 Peabody Coal Company set about gaining access to the vast coal reserves of Black Mesa through a variety of unscrupulous acts, including dishonesty with native elders and the use of industry political and economic power to sway government and tribal officials. Today, just as in Appalachia, the indigenous people of Black Mesa are seeing millions of dollars leave their lands while poverty reigns supreme amongst their people. Everyday a corporate jet flies Peabody officials to a private airport constructed near the mine and everyday Navajo elders must drive miles to get water. A few proud native elders continue to live without electricity and running water on lands they consider sacred; and, by doing so, they are committing an illegal act according to Peabody Coal Company. My family and I recently had the honor of joining these elders thanks to the efforts of groups like Black Mesa Indigenous Support and their affiliations with Appalachian groups such as the RAMPS Campaign. 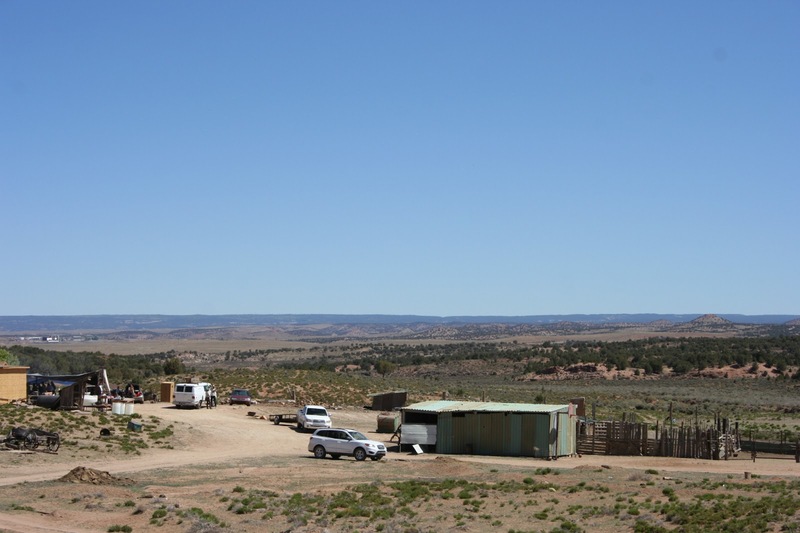 High on Black Mesa, we joined dozens of other people to camp out on a Navajo homestead for a week, working to help the elders and to share stories of struggle from other places. It was a different life, rising with the sun, herding sheep through desert landscapes where the kids often met with the needle of a prickly pear, found their socks covered in Russian thistle, and fought off the constant biting of desert fleas. We sheared sheep the old fashioned way using sheep shearing scissors, we cooked for the elders, and my children even shoveled sheep manure out of a corral. We only spent hours doing what people are accustomed to doing all of their lives and we learned a great deal of respect in doing so. Back at camp, we heard stories from Palestine and Hawaii, from the Lakota of Oklahoma, and more about the struggles on Black Mesa. In many cases it was the same story, people who only wished to live by the old ways of caring for the land, not asking for much in return, and yet finding themselves fighting each day, hoping that the spoiled reckless greed of our civilization will not continue destroying the lands and culture they have clung to for thousands of years. The more we learned, the more disgusted we became, especially with the stories from Black Mesa. Though the elders did not agree with the mining, though they did not sign the land to Peabody, they are still being forced to relocate. Terrible laws have been implemented thanks to Peabody’s greed, one of which is the Bennett Freeze that prevented elders from fixing their homes, even broken windows, or from building any new structures. Laws were even created to limit the amount of sheep Navajo people were allowed to own. Rangers continue to confiscate “excess” livestock right from people’s homesteads. Such methods of weakening the Native American people are not new, millions of buffalo were ordered to be killed to weaken the food source of the Lakota whose lands were lusted after by rich industrialist in the 1800s. Peabody’s atrocities towards the Navajo does not end with land acquisition and forced relocation but runs deeper still into the Navajo Aquifer. Peabody accessed the Navajo aquifer where they used millions of gallons of water a day to pump slurried coal 240 miles to a power plant. The wells and springs of the people began to dry up, forcing the elders to truck water to their homesteads. We heard stories from the elders of how they would be abused, shoved to the ground, and threatened with bodily harm. I thought to myself, “Would the people of Appalachia who proudly support ‘Friends of Coal’ allow their grandmothers and grandfathers to be shoved to the ground, to have their livestock confiscated, or to be prevented from repairing their own homes?” I knew the answer, but I also knew how ignorant coal company supporters can be towards things not directly affecting them. They would instead find some way to sugar coat the coal industry. They would continue ridiculing the so-called “tree huggers” and “environmentalists” who leave their comfortable beds behind to spend months without running water and electricity to help herd, shear, and butcher sheep in the harsh desert lands of Black Mesa, to cut firewood, haul water, build and clean corrals, plant corn, and perform hundreds of other jobs that need to be done to help the elders. I hope a few of those coal miners are reading this because I would put the work and dedication of those “treehuggers” up against any of today’s Appalachian coal miners and their families—but I digress. Standing on a hill above the homestead I watched the massive booms of draglines swinging back and forth on the horizon and the plumes of dust rising from blasts. I knew the mine was ever approaching and feelings of deep sorrow mixed with feelings of tremendous respect for the people living here. Thousands of miles away from my Appalachian home in a foreign environment, I began to feel even more strongly the connections: the power of all life, the struggles we all face, and the need to protect our children’s future. If only people could understand as the native elders do—that the land, the water, and the air are more important than any man-made economy ever could be. It's too bad these kinds of details about the abusive coal industry never seem to show up in the newspapers of Arizona, nor on any of the news stations. Meanwhile our media can't get enough of reporting on how badly people in third world countries are often treated by their own governments as if none of this happens on our own soil.